ExchangeWire rounds up some of the biggest stories in the US/Canadian digital advertising space. 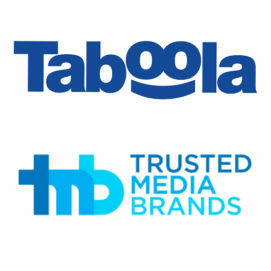 In this week’s edition: Trusted Media Brands and Taboola expands partnership; MPP and Dynamic Yield partner; AppLift launches new audience segmentation; GumGum releases brand safety research; and Receptiv launches three-part media guarantee. Discovery platform, Taboola, has strategically partnered with Trusted Media Brands to bring Taboola Feed to its audiences in the US and Canada. 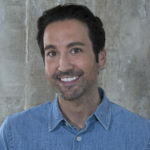 Building on their previous partnership, Trusted Media Brands will include the Taboola Feed on its network, which includes sites such as Taste of Home, Reader’s Digest, The Family Handyman, and more, to help increase RPM/page views/engagement metrics using a continuous feed of ‘cards’ that appear below articles, similar to social feeds. Subscription platform, MPP Global, has partnered with personalisation technology stack, Dynamic Yield, to help clients automate individualised customer experiences. The combination of MPP Global’s eSuite platform and Dynamic Yield’s personalisation engine, will help media and retail companies create a personalised and tailored subscription marketing and management solution. MPP Global works with media entities like Daily Mail Group and McClatchy, and Dynamic Yield has worked with top brands like Sephora, Urban Outfitters, Stitchfix, and Hallmark Channel, and together they will help to personalise the way consumers transact with brands to better meet their needs. 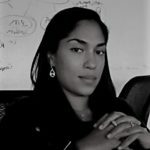 “The omnichannel shopper is an emerging reality that subscription marketers in the digital media and retail verticals have to contend with. Moreover, a successful subscription business model requires a deep understanding of shopper behaviour and being able to instantaneously react to their preferences for everything from the products they show interest in, the digital channels they prefer, all the way to the manner in which they want to transact with your business. MPP Global’s partnership with Dynamic Yield solves the complexity of managing the omnichannel relationship and now our customers will be able to programmatically personalise the customer experience in order to increase acquisition and customer lifetime value”, Melissa Pegus, SVP, strategic partnerships, MPP Global, tells ExchangeWire. 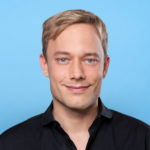 Mobile ad tech company, AppLift, has added Audience Segmentation to its DataLift360 platform, so advertisers can define rules and segment users based on various in-app events, creating more efficient retargeting campaigns and maximise ROAS. Advertisers will be able to directly stream in-app events via the API, funnel them based on time and frequency, and will allow for precise targeting of granular audiences. Artificial intelligence company, GumGum, has released market research findings investigating the brand safety crisis impacting the advertising industry. The study examines how brands, agencies, and publishers are addressing this issue while also finding ways to help identify and reduce exposure to unsafe content. Some of the key findings include: 75% of brands reported at least one brand-unsafe exposure in the past year; 44% of brands and agencies grapple with brand-unsafe imagery; 32% wrestle with brand-unsafe video; 47% of brand respondents noted social media blowback in response to a brand-safety incident, and more. “Following a series of high-profile headlines in 2017, brand safety has shot up the agenda and will no doubt continue to be the number one concern for advertisers this year. With 75% of brands now saying they have experienced at least one exposure to a brand-safety issue, it’s becoming more and more urgent that the industry responds. “Unfortunately, our research shows advertisers still have a long way to go before they’re properly protected from the dangers. Despite the nature of the brand-safety threat online becoming increasingly image- and video-based, most advertisers are still relying on solutions that focus on text-based analysis. This needs to change. “The AI-powered technology that allows brands to scan billions of images and videos online before ad placement – computer vision – is well developed and widely available. But just 15% currently deploy it, leaving a significant chink in an advertiser’s brand-safety armour. 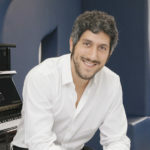 It’s up to advertisers to drive a change in the industry and demand more from their partners, insisting that the latest technologies, such as computer vision, be deployed in order to preserve the reputation of their brand”, Phil Schraeder, president and COO, GumGum, tells ExchangeWire. Mobile video advertising platform, Receptiv, has announced a three-part media guarantee that ensures all mobile video inventory is reliable, brand-safe, and engaged. 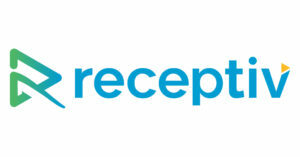 Receptiv’s Reliable, Safe, Engaged (RSE) guarantee will focus on video campaign critical performance indicators and pledges make-good impressions for those that don’t meet the commitment criteria of at least 90% viewability score, less than 2% invalid traffic (IVT) or nonhuman traffic (NHT), and 100% brand-safe for all managed service campaigns. Receptiv’s RSE Media Guarantee includes reliable media that is viewable, free of nonhuman traffic, and reaches the right person; that safe media is served in environments that exclude violent, lewd, or other objectionable content; and engaged media with targeted impressions to mobile environments that earn top-tier engagement rates, are proven to positively impact a mobile video campaign’s performance.